How do Windows regional settings affect the Jazzit templates? 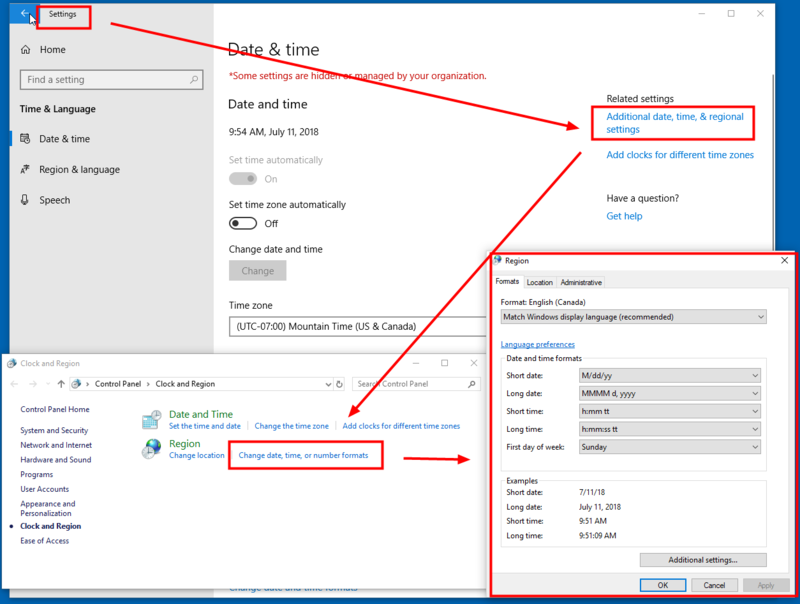 Here are a couple of scenarios where the regional settings in Windows will affect the presentation of the Jazzit templates. 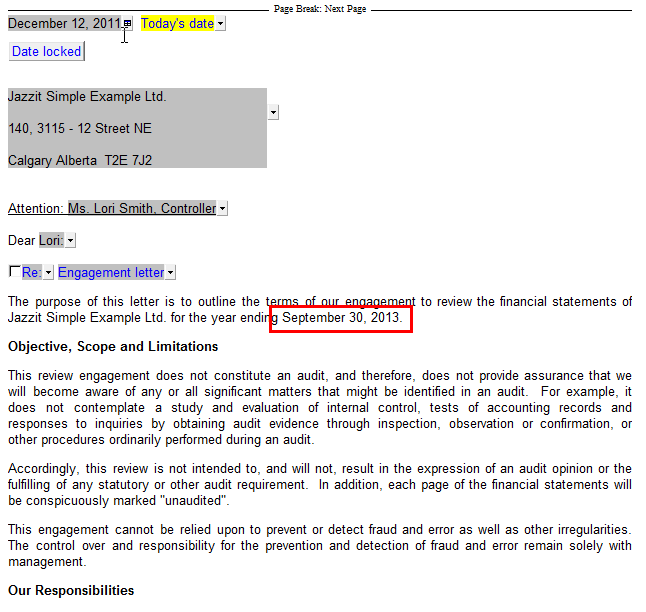 The date in Jazzit letters will sometimes look different than what is expected. A letter typically uses: Month, day, and year (4 digits). 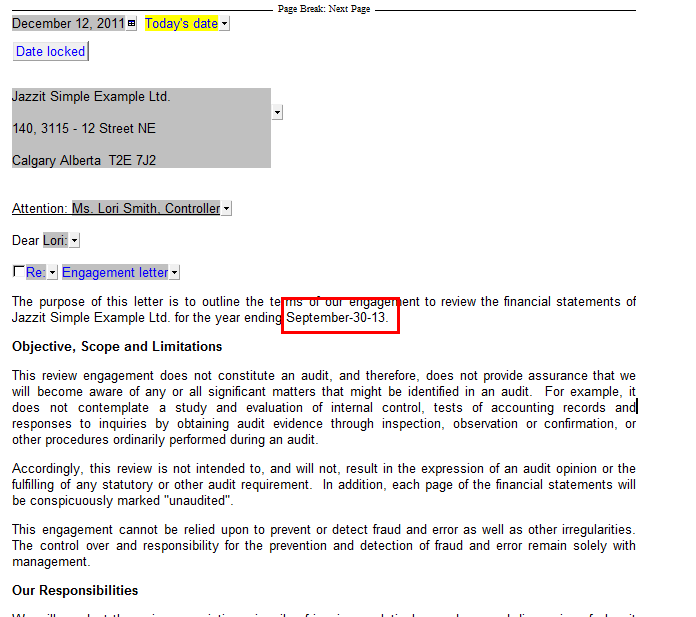 In the example below, the engagement letter is using a 2 digit year and uses dashes in between each date element (MMMM-dd-yy). 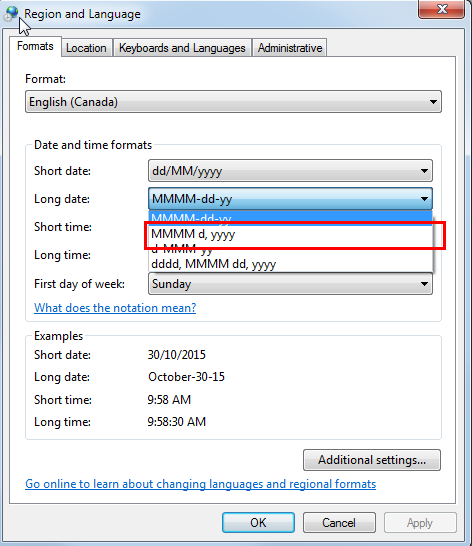 Normally we want a date that uses a 4 digit year and uses no dashes (MMMM d, yyyy). 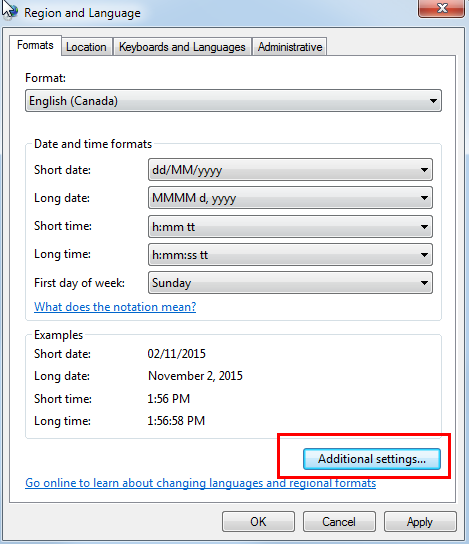 In the Region and Language window set the Long date format to MMMM d, yyyy. Then click ‘OK’. The engagement will now display the correct date format. Negative numbers can be displayed in brackets or using a dash symbol. For example “$(50.00)” or “$-50.00”. 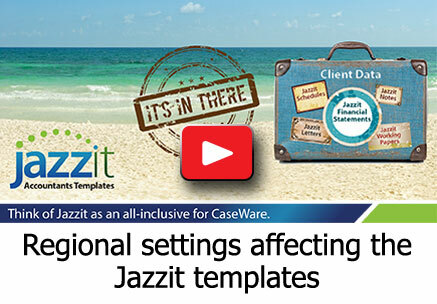 The default presentation for Jazzit templates is with brackets “$(50.00)”. In the GST reconciliation below we see that the negative numbers are incorrectly presented with a dash in front. We must return to Region and Language. 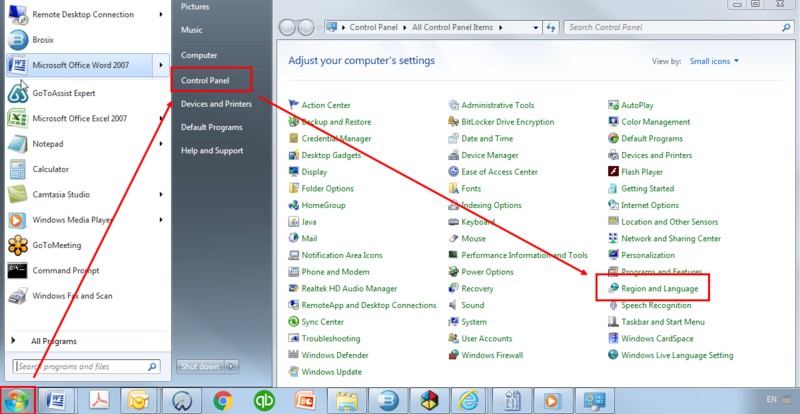 (Start button > Control Panel > Region and Language) Click on Additional settings. Click on the currency tab. 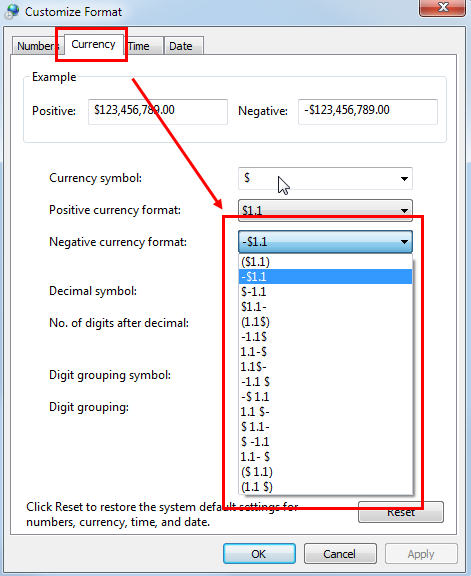 Change the ‘Negative currency format:’ to ‘-$1.1’. Negative amounts should now appear correctly with brackets.